We plan to continue holding Bible Bee Live Quizzes here on Memverse.com on Fridays at 4 PM EDT. (If for some reason we cannot hold a quiz, we will do our best to let you know as soon as we have that information available.) We are thrilled to have a new feature here that allows you to participate in these quizzes in real time with other Bible Bee participants. It is still a work in progress, but we believe some of the bugs have been worked out since last week's quiz. If you plan to participate in any of these quizzes, please see this blog post: Preparing for Bible Bee quiz. It has important information about making sure your computer is ready for the quizzes. During past quizzes, we have always had 15 questions: the first and last five were "give the reference" type questions (which are not part of the Bible Bee per se, but they are from Bible Bee passages and do reinforce the references in your mind), and five questions in the middle for you to "recite" (type) a Bible Bee passage. We have tried to keep these mostly Primary verses, with some Junior. However, we are now entering the second season of Bible Bee quizzes - this is Week 7 in our studies - with a better quiz system and a need for more review, so the format of the quizzes may change. We plan to include more verses from previous weeks and hopefully more of these can be Primary and Timothy track verses. On Friday, August 26, 2011, at 4 p.m. EDT, we will hold the Finale Bible Bee Live Quiz - the last one before the Local Competition on Saturday, August 27, held across the United States! Click here to enter that quiz. Bible Bee participants generally start to arrive about 10 minutes before the quiz opens. We hope you can make it and pray that God blesses you as you memorize His Word! As a double-check to make sure your browser is ready for the quizzes, you could click the link for the last quiz and send a test message in the "Chat" section. If all is well, you should see your message. Finally, if you experience any technical difficulties before or during the quiz, please let us know with our support forum: http://getsatisfaction.com/Memverse or in the comments below. You can spread the word by giving people the link to this post! We look forward to seeing you and your friends! Thanks. Can't wait for tomorrow! See you there! Also, thank you Andy and Alex for taking the time and energy to do this! You're helping so much! Thank you Alex and Andy!!!! This is going to be a lot of fun!!! BTW: I like where the scoreboard is now!! @Alex: I'm not sure I get one thing. You put a list of "Week 7" "Week 8" and so on. Are we to click the "Week 7" for this week's quiz and "Week 8" for next week's quiz? Thanks. EDIT: Thanks, Alex, for answering my question! 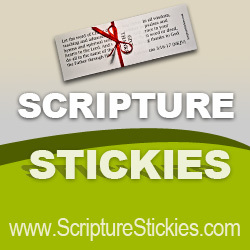 @SBG: Congratulations on reaching 100 memorized verses. Yesterday, you were 1 ahead of me on the leaderboard...now you are like 15 ahead! Good job! Awesome! I can't wait for the quizzes! I missed the last one so I can't wait to try out the new system! I didn't know if you needed to sign up, but either way i will try to be here tomorrow (7/21). Also - is the scoring automatic? I have started a Facebook event called "Live high tech Bible Bee Quiz Fridays at 4:00pm EDT" at http://www.facebook.com/event.php?eid=140680996014270. If any of you are on Facebook, you can invite your Bible Bee friends and other Scripture enthusiasts among your friends to attend. Bethany - That is correct, you use the appropriate link depending on the week. Super401 - Scoring is automatic! :) We are always glad to hear when people plan to attend, though it is not required at all, especially with the new system. Phil - Thanks for doing that. At this point in my life, I do not use Facebook, but I know it is a great way to spread the word about things like this, so I really do appreciate you helping by creating that. I'm guessing most don't have Facebook, which is a good thing. I am not in any way promoting Facebook. I am just putting it out there as a tool I use that others can also use to spread the word about these awesome quizzes. I will be using other methods as well. Alex, is there any limit that can crash the system, or make the quizzes difficult to administer? Mr. Walker - Even if people do have it, they can use it to promote things like Memverse...like you are doing. You never know, maybe we'll have more poeple join because of what you posted about on Facebook! To move up from level 5 you have to refer a new user. So, I referred my oldest brother. He joined and everything (a new user....Yay!) and put me as his referrer, but I still didn't move up from that level? BTW, that was the last thing that I had to do before I could move up. Any suggestions? Thanks! Bethany - Is he showing up under your "Referrals" page (beneath Account tab)? If he is, then I would just try one more thing: go back to your Account Dashboard and see if it took you up a level. Sometimes it just needs to be reloaded... If that doesn't help, then I would double-check that you got all the quests done. Let us know how it goes. Alex - It shows up now! Thank you so much for your help! Now, I can continue to move up levels! Awesome! I will be there Lord willing! Can't wait! Thanks guys for doing these quizzes!! My parents are going to a wedding today! BBJ11, I hate naps too. Are you and Rachel both going to the same wedding? I saw a chat message from Christian Alexander saying that he was having trouble with the quizzes. Christian, which browser are you using? If you are not using Firefox, I would recommend downloading it and giving that a try. Also saw a message from Ashley that she couldn't see chats. I would wait for about 15 seconds, then if nothing happens, try refreshing your page. I'm using Firefox, and I can neither see chats nor quiz questions. Is it the latest version of Firefox? You might also try Google Chrome. Sorry you're having trouble. alright, I'll give it a go. I just got this version last week. Christian - I would probably try Chrome then. Well, my computer's having problems downloading Google Chrome, so I may just have to give up. Okay, now Chrome is downloading. Hopefully I can make it to the quiz before it's finished. My computer seems to be downloading fine. It's a longer quiz with more recitations, so there is a greater chance you can join. Let me know of any more issues. Thanks. It definitely needs some work, but it's great that you're trying to figure this out, Alex and Andy! Also, I was trying to thank Rachel Crosswhite for her prayer in the middle of the quiz. So, thank you, Rachel! I use Internet Explorer. I did question #1, and waited for it to go to #2. But it froze. So I refreshed, (sorry, I know I wasn't supposed to) and the page came up the same way it looks when a quiz hasn't started yet. My chat didn't work for a while either. The scoreboard didn't work at all. I don't know if i can get permission to download FF or GC either. We are having another quiz at 5 PM EDT. If you had problems and were using Internet Explorer, I suggest downloading Mozilla Firefox for your web browser by clicking on this link: http://www.mozilla.com/en-US/firefox/fx/. Then click, "Get Firefox". Thank you, Alex, for another chance, like last week! I hope everyone's computers work this time! Alex, thanks for these quizzes. May God richly bless you. Ok. On IE I had the first question, then it messed up and I couldn't see questions or scores. Safari didn't work either. But, I downloaded and installed Firefox. So, we'll see what happens! Thank you SO much for all your work on this, Alex! When I refreshed it didn't help. We had to call off the 5 PM EDT quiz due to what appeared to be hacking. I don't expect it to happen again. Thanks for understanding and look forward to seeing you all next Friday at 4 PM EDT. We'll also be looking into the issue that some of you had with answering the questions, even during the earlier quiz today. Thanks! I was the fake hacker. I did it by changing my name in profile to your names. I did it as a joke and did not mean harm. So now I realize that it is wrong and can cause big problems. I am so sorry for pretending to be a hacker, I won't do it again. Please forgive me. I was very mean to do that. @Brooke Nicole: same 4 me. I know we ran into some problems today and we apologize - I know some of you would have scored much higher if the questions were advancing properly... We will be working to fix them. Thanks for your patience. I'm so sorry that I missed the quiz. I completely forgot about it. I'll try to be there next week (I'll set a reminder somewhere so I'll see it every day). Great job on the quiz everyone!! "See" you all next week at the quiz (I can't wait)! Bethany - Yes, we had 18 questions. @Alex - how did the 5 o clock quiz go? I was gonna do it but when there was the hacker problem my mom said I should probably get off so I wouldn't have a hacker in my account. Sorry!! I had the same problems. Alex I just want you to know I didn't mind that the chat wasn't working, somtimes God has some trials that we can't help. I wasn't at the 5 oclock one becuase we Had to go to the finishing night of our VBS, so I don't know how it turned out. Please pray for me it's not a big thing but I have our Chapionship Swim This morning though evning and I don't think I'm good enough or ready, Thank you!!! How long dose it take to mimorize a verse? Are you able to make a verse a"mimorized verse" because I have mimorized verses that are on here but there not in the called "mimorized". I added a chapter to my memorize list...will it stay pending until I change it to Learning? BibleBeeJunior11 - Is it just me or do you look like Georgie Henley (the girl who plays Lucy in The Chronicles Of Narnia)? Rachel - It will stay pending until you convert the verses to learning. Ashley - Like Rachel said, the interval must be over a month for it to be "memorized", which of course means it will take about a month for the ones you already know to be marked "Memorized". I remember it seemed like a long time for me at first, but I see the benefit to it now. Thanks to everyone who explained the problems they were having. I thought you all would like to know that we are working through the bug with the scoreboard and such that vburk, Ashley, and others have reported. We just tried doing a bit more testing with Internet Explorer and realized that one of the code functions we were using for the scoreboard is not supported by IE. Other browsers may not support this function either. It is called to update the scoreboard, which happens right after the first question. Some browsers, though, like Firefox, worked fine... I suspect that when this error was hit, other things stopped working as well for some of you, including chat. Things are starting to make sense. I am optimistic that the problem will be gone for next week's quiz. Thanks for giving details. Congratulation, Alex, for memorizing your 700th verse! Good job...keep up the good work! @BrookeNicole - nope, it's not me but I wish it was! Well at least I wish I looked like her...sometimes...but I like how God made me!!! :) yup, I loooove Georgie Henley so she's always my profile picture. I just changed the picture yesterday! But of course, it was changed from GH TO GH!! i found a perfect website with awesome icons...dedicated to Narnia..
@Rachel Crosswhite - love your picture! Was the 5:00 called off? Yep, the 5:00 one was called off. @Rachel Crosswhite - Whoa, do you live in NZ? @Bethany - I love the butterfly, maybe you should add your photo to the butterfly...do you have something where you can like put the pictures together? that would be cool! BBJ11 - NO I do not live in New Zealand....but might someday! I visited NZ in March and it was a BLAST!!!!! If you ever go anywhere out of the country I am telling you GO TO NEW ZEALAND. Period. I had a dream last night that it was the next Bible Bee Quiz (on the 29th) and we were all chatting...and then I saw something under MY NAME that I did not type......."Are you ready?" and then Sarah's Bible Bee account said "Yes!" Then all of our computers froze, then the whole Memverse website changed to an eerie gray color and then pops up some top news stories.....the website was called "Memverse? No way! NEWS!!!" (the chat section was still there) then someone ( i forget who it was) messaged "we did it!!!" and then all of our accounts were deleted and then all of our computers blew up! Memverse became a new website that if you visited it it would blow your computer up!!!!! @Rachel Crosswhite (KJV) - HAHAHA!!!!!!! that is sooooooooo funny!!! :) Yeah, I hope that doesn't happen here either!!!!!!!!! :) that would be so scary.........mine didn't seem to be hacked. but i don't know! Rachel Crosswhite- That would not be good. I like my computer. And i like memverse. It is a one-of-a-kind-website. That might be a little funny though... LOL... If it didnt happen. I wonder what alex will say to your dream. Sorry, this has nothing to do with anything, but when I tried to add John 13:3-14 to my list of memory verses, but it seemed like it wasn't there. The reason is that I typed in MATTHEW 13:3-14. So now there is a Matthew 13:3 verse in NIV that is actually John 13:3. It is still etitable, but when I tried to erase what I had written, the screen just said "We're sorry, but something has gone wrong." I'm sure somebody is able to fix the verse, right? what week will the next quiz cover? oh and alex or whoever, i wanna b here 4 wk 8 but i might b swimming so i dont know if i can come maybe we can get home in time i hope so! I cannot wait in till the next quiz, I want to see how it turns out. Who is your picture of? it looks like Lucy on "Narnia",. is it? How old are you? Can you post you picture for just a day or so and then change it so I can see it? Dose anyone reconize the last name McMahan? I want to Change me Profile picture but I'm not alowed on the site so I can't change it. Is there any way to change it without going on that website? EDITED--I have the same problem with the Gravatar account thing. My Dad is The CEO Of the Bible Bee! A bad kind of unexpected? And mom my wote the sowrd study as you probly know. Wow Ashley ! Tell your Mom that I LOVE the Sword Study.....I am enjoying it so much! Did your Mom write last year's study? SBG - It's a good place to start, also! I like the book of 1 Peter...and it's been very interesting to study in-depth. How about you? Are you enjoying the Sword Study? anyone else care to join? So far the count on the First Peter project is going well! That would be neat to have more people joining us in memorizing 1 Peter! We have three so far...maybe more people will join before to long. Three is a good start though! On Memverse, in all, we have memorized over 72,000! We're trying to reach 100,000 by the end of the year! cool I hope I can help alot towards that! @ Rachel Crosswhite (KJV) "ooh" said the big mouth frog(jk). @SavedByGrace there needs to be a colum on the dashboard for books memorized! read Titus its a really good book to memorize. @Rachel Crosswhite--I kind of snickered when you asked if I was a girl, and I'm still not sure if you were serious. No, I'm actually a boy. It might be a little confusing since I didn't really specify my gender in my name. Wow...nobody's ever thought I was a girl before. ;), LOL, jk, and whatever else I need to say to let you know that I'm not offended. @Rachel - I believe that SBG is a boy; Christian Alexander's brother, right, SBG? I just finished Narnia The book! Yes, my mom wrote last years too, sorry I didn't awser right away I went swimming all day with a friend. @Rachel Crosswhite--I am definitely not offended. It's totally all right. Anyway, my name is Nicolas Alexander, the brother of Christian Alexander. Also, I used to think God's Little Child was a girl, until he said that his name was Nathan B. Please don't be embarrassed. Rachel, you can count me in for memorizing 1 PETER with you guys. Do you have any time frame of when everyone wants to finish. Around the end of November each year, I lead a world wide group memorizing a short book of the Bible (or a group of around 100 verses) at the pace of 1 verse per day to give some Scripture memory in the Bible Bee off season. Last year we did 1 JOHN and the year before that 1 TIMOTHY. This upcoming year the leading vote getters are JAMES and 2 TIMOTHY. Bethany, I tend to be a little optimistic, but I predict that memverse hits 100,000 by September 15th and hits 150,000 by the end of 2011. All you Bible Bee guys are doing a great job spreading the excitement about memverse. But don't forget to do your best preparing and mastering your own Bible Bee verses and studying the 1 PETER sword study. Mr. Walker - that would be WONDERFUL if Memverse got 150,000 verses memorized by the beginning of 2012! I'm striving towards that end! I will be memorizing 1 Peter as well - in fact, having just finished my Bible Bee verses I am getting started on it right now. Anyone else want to join?! I want to start doing these quizzes... have not been doing them because I was not following the schedule in the Sword Study... but now since I am done with all the verses I will probably be there on Friday. It is 4 PM Central Time, right? Matthew - what group are you in...Senior, Junior or Primary? Good Josiah! So it looks like we are pretty much in the same place with the Bible Bee. Also, how many years have you done the Bible Bee? Have you ever made it to Nationals? I have participated in the Bible Bee for the past two years and both years I made it to nationals. This is my third and last year since I just graduated from homeschool. I'd like to join with you in memorizing 1 Peter. Completed the first chapter. As I have already added Titus and 2Timothy to my verses a week back, may I know by when you plan to complete memorizing 1Peter? I am from India. Like to join for one of the quizzes. Simeon - don't feel badly. Just keep working diligently towards the end and you will make it! Although it might seem hard at times...don't give up. Just keep memorizing and studying and trusting in the Lord! Rachel - our number of people is going up of people going to memorize 1 Peter with us! Anyone else?! Ok, this is BBJ11 here, I'm using my sister's page. I think I will join the 1 Peter challenge. :) Count me in! Bethany: I've done the Bible Bee since it began, so this is my third year. I've made it to Nationals each time. The first year it had nothing to do with scripture memory (I probably memorized around 5% of the verses, and everything to do with bible knowledge (the written test was weighted pretty heavily the first year). Last year I actually did all of the verses, so... What about you? Josiah - that's neat that you made it to Nationals all three times! This is my first year to do the Bible Bee...and I'm quite excited about it! At first, it seemed like WAY more than I could learn. But now doing it, it seems not that hard. This is the first time that I had actually done this much Bible memory. Before, I would memorize about 3 to 4 verses a week....now I'm doing three times that amount each day! May I ask how old you are? Ugh! I'm going to miss this quiz too! I'm going to be gone all evening. @Bethany--no, Alexander is our last name. I don't completely see how that would lessen our Internet safety though... Also, I think that Rachel Crosswhite wanted us to memorize 1 Peter AFTER the Bible Bee. Trying to do it before the locals would be a little--well, actually a lot--difficult. :) Oh, and I think that Matthew Minica is a Junior. It's great that so many people are attempting Rachel Crosswhite's challenge. But just for anyone who wants to... is anyone who hasn't volunteered already willing to memorize the Bible with me? I've lowered my goal of 100 people to just twenty, and we have fourteen already, so... anyone willing to take up the challenge? Yes, that would be very neat if we got to meet people from Memverse at Nationals. We just have to continue studying and working hard at it! @Bethany--Other than me and my older brother, I have an eleven-year-old sister doing the Junior Timothy Track, and two younger brothers, nine and six, who are in the Primary Timothy Track. Yes, we are both doing National Track. I'm the youngest one in our family doing National Track. @BibleBeeJunior11 - How did you get your comment there?! I'm sure that we did our's before you did your's. Besides, on recent comments....your's comes up first! May I know how? I'd like to memorize 1 Peter with you all, also... I already memorized the first three chapters and chapter 5, so it shouldn't be too hard to finish memorizing chapter 4! The first three chapters I am working on knowing each verse by the reference, and I've already done that with chapter 5. Bethany, I am a Junior. I was hoping that you wern't a junior but you are. @Matthew Minica - THAT IS NOT FAIR!!!!!!!!! :) LOL I so wish I was done but I only have like 50 cards left. :) YAY!!!!! ~SBG - It's totally alright....go grateful you aren't offended :) Our 1 PETER PROJECT number is growing! What a blessing! I am so blessed that all of you would like to join me in this challenge :) May the Lord bless you all as you hide his word in your heart. BTW I am thinking of changing my name (om Memverse) to "Rachel4Him" - then you don't have to call me Rachel Crosswhite all the time (it's so long to type out) what do you think? Yay! We have ten people! That's wonderful...Thanks for updating the list, Rachel. @Rachel Crosswhite/Rachel4Him--It might be a good idea to change your name. I don't mind either way, though. Do you already use that name on GetSatisfaction? Because I thought I had seen that name there before. Bethany: You have the physical ability to ask that question... Now whether I will answer it... ;) I'm 15. Would you know how to edit a verse, if it is alread verified? Thanks! No, the quiz is not going to be at 4 PM Central Time, it will either be at 2 or 3... but I can't figure out which! According to my calculations, if it is 4 PM Eastern Time, it is 3 in my time zone... but if it is 20:00 UTC it is 2 in my time zone! Can someone please help me figure this out? @BBJ11 - Don't feel too bad, I really cannot be credited for learning all 500 in seven weeks because I had already known nearly 40% of them before the Bible Bee! EDITED: Matthew Minica, I would help if I could, but I don't know much about time zones. Sorry! What do you mean "She's looking foward a twin"? I'm not sure if I understand! HAPPY BIRTHDAY! HOPE YOU HAD A NICE DAY! @Rachel Crosswhite--was that a riddle up in the comments? I was really confused when I read it, but if it is a riddle, it's a really hard one. Sorry, I don't know about time zones either. Sorry! I think I'll wait to give the answer. Think about it. here is a hint. you can eat it. @Rachel Crosswhite--I cheated, sorry! :( I looked on ask.com and got the answer...sorry, I should have waited! Rachel Crosswhite - about the time zones - that is all the info I needed. I now know that it is at 3 in my time zone, and that either I was wrong in my calculations or that the quiz room was wrong in the UTC time. *big heave of my chest* Phew! I was hoping it wasn't going to be at 2 because I have piano lessons then! OHH! I know the answer! Should I say it?? Quiz time - Yes, 20:00 GMT/UTC. If you need help figuring this out for your time zone, you can use a website like this: http://www.timezoneconverter.com/cgi-bin/tzc.tzc. In Eastern Daylight Time, it will be 4:00 PM. ahhhhh! YES!! no longer do I have to suffer having a profile of a purple hexagon!!! what is your profile pic, Simeon? I know exactly what you feel, Simeon - I was originally stuck with an angry, red octagon! Ugh! Hey, I probably won't make the quiz tomorrow. :I But have fun everyone!!! @Elizabeth--sorry you can't make it. I don't think I'll be able to either. I hated my picture. I dont remember what it was i chaned it as fast as possible! my sister palamino is cute tho! @Rachel Crosswhite, I think I know the answer to the riddle!!! Is it a watermelon!?!! @ Simeon: Am I missing something, Simeon? Your profile picture is no longer a purple hexagon like it was before, but now it's a green hexagon. Where's the picture of Aragorn? Rachel - What exactly do you mean 'keep up with the 1 Peter project"? I'd be glad to help, whatever it is! Are you meaning accountability? well, just help me keep up with volunteering people, answer questions (if there are any) thing like that :) you get it? Yeah, thanks, Rachel Crosswhite. I guess I should have figured that. But that's just me... :) Sure, I'll help. About a week ago one of my friends was in the back of a truck and the truck accidentally backed into a small car crushing his right foot underneath the tail gate and against the bumper of the other car. He has four broken toes, both ankle-bones, bones in his foot, and possibly a broken leg bone all on his right leg. He will have surgery tomorrow. Please pray. oh Matthew! That is awful! I will pray!!!!! Thanks a bunch. When his medicine wears off he's in a lot of pain. Yikes, Matthew! Yeah, I'll pray. Definitely. Thanks SBG. Isn't it a great comfort that God has a plan and purpose for everything? Christian Alexander- have you seen the movie (lord of the rings)? Yup. But it was a long time ago that I saw the three movies. I probably didn't understand nearly as much as I would now. For a while my dad has been planning a party where we'll get together with friends and watch all three movies only stopping for lunch and dinner. :D I hope it happens soon! And I'm also very excited to see The Hobbit Part 1 next year and Part 2 in 2013! @Matthew - ohhhhhhhh so sad! i told my mom... what is his name? I finished our BB game tonight!!!!!! I am SOOOOOOOO excited - I made it myself! The game pieces are sooo fun. We haven't played it yet but maybe I can post the game as my profile picture later!!! How'd ya'll like that? Tell me and if there's a majority I will post it!!! @Ashley- which narnia book? my fav movie is the 2008 prince caspian or 2010 voyage of the dawn treader...will (eustace actor) crackedme up when i saw the latter.. Thanks BBJ. His name is Jacob. Just a quick note that we've worked on the scoreboard issue which we think was causing some of you to not be able to see any more questions after the first one and believe we have resolved it. If you had trouble last week with the quiz, it would be particularly helpful if you could try again this week to see if the issues have been resolved. We also figured out why the chat wasn't allowing colons, so now you should be able to smile again in your messages. :) Thanks for your patience and hope to see you at the quiz! One other thing: those of you who have your bible translation in your name should remove it. We have widened the scoreboard a bit but that will help with the scores wrapping around to a new line. Ohhhh... Matthew that is awful. I will definetly be praying. I'm REALLY behind in memorizing. I've tried all the tips people have given but I'm still behind. I didn't make it to the quiz so what's the answer to the riddle?????????????? If we're joining memorizing the whole Bible does that count as memorizing 1 Peter? Rachel - Yes it does, in answer to your question! Are you joining with us then? Sure! But let me finish the Bible Bee first and I'll memorize 1 Peter through the school year. @BBJ11 I beat you!!!!!!!!!!! I'm the youngest blogger, I think. I'm (drumroll, please) 10! and my birthday's on November 17th, too!!!! Well, we found are twins! I won't be at the quiz because I'm behind in memorizing and haven't got to this week yet. Hey - The chat quiz isn't working anymore for me! Rachel - That's fine. We are trying to do review, though, so you might know some of the verses. Just a thought for next time. Quick note to Zachary Baas who may have not seen Andy's message on the Live Chat on the quiz: Andy was saying, "Zach - I think you lost your connection when you sent the countdown so rapidly." Thanks. Alex - it runied it all when i did that - and i missed Q4-12. and probably all the rest of them! Can this be fixed somehow? Zachary - It should be fine next time if you don't post as many chats. And here are scores from the quiz re-run around 4:30 PM EDT. Rachel, it is fine if you want to use the feedback forum for organizing the 1 Peter project. Please put it under the 'Idea' category and clearly label it with a meaningful heading. Thanks for doing the quiz Alex! I enjoyed it a lot! @Andy Are you talking to me? @ Rachel4Christ do you think starting 1 Peter after the BB would be ok? Wont be at the bible quiz this week. I would really like to be able to join one sometime. I keep forgeting. I will be away this week at an orchestra camp in the mountains. Wont be back till a week from this sunday. sorry i missied this afternoon. I was grocery shopping with my mom. BTW simeon-I love your picture! Good, idea, Simeon! I have always found it difficult to find topics on the tag cloud that do not stand out. @Smiles - ohhhhhhhh HAVE FUN!!! The orchestra I'm in only has concerts. Thanks for the quiz last night, Alex and Andy! It was great! And guys, do you really like the blue triangle? I never liked it. But I found out that I'm not allowed to put my picture here, so maybe I'll keep it. But maybe it would be a better idea to just change it to something else, like Simeon, BBJ11, or Zachary Baas. But if you like it THAT much, maybe I won't go through the trouble of doing that. SBG - This is my personal opinion...I really like it :) But, of course, it your pictures, so you can do whatever you want to do with it. Did you do your reading yesterday? Simeon - that is what I was planning to do. Are you joining us? SavedByGrace - I have decided to do the reading with you and everyone. I'm doing 4 chapters a day. Have you read your chapters today yet? I have. Praise Jesus! This project is growing!!! And thanks again Andy for letting me create a topic :) I'll post a link to it when it's created. I changed my screen name from Rachel Crosswhite (KJV) to Rachel4Him to Rachel Irene. just to get things strait..... :) do you like Rachel Irene or Rachel4Him better? Here is the link to the 1 PETER project group... is it okay Andy? Josiah: are you reading 10 chapters a day? If not, how many are you doing? Simeon and Zachary - Regarding the tag cloud: Please try pressing CTRL + F when you are on the Tag Cloud page. Then type your "search term" in the box. This just uses your browser's built in searching ability. It will help you find all the occurrences of a word on that page. For now, I think that makes more sense than a special search engine... Thanks. @Rachel Irene - I like Rachel4Him & Rachel Crosswhite & Rachel Irene...either one fits me!!! @Bethany - I know! 12 people. TERRIFIC!!! What reading? @BBJ11 Who's your favorite character in Narnia? Is that the game you were talking about (your picture) ? @Bethany - I didn't know you were going to memorize 1 Peter !? How long will it take? @ Rachel Irene did you change your name back to "Rachel crosswhite"? it doesnt look like it. BTW- yes im in for memorizing I Peter! @Alex who is the person that verifies the verses? and how often do you guys check i have a few verses that keep saying "pending verifcation"
Great! This project is growing rapidly! Anyone else want to memorize 1 Peter--before or after the Bible Bee finishes? Simeon - Andy currently verifies verses, but I'm not sure how often he is able to get through what I expect is a long list of verses for one person to verify. I'm sure we'll keep improving, including the speed at which it takes verses to verify. Thanks for your patience. BTW: You can help verify verses in your version by going to this page on Memverse: http://www.memverse.com/check_verses. Daniel - Welcome to Memverse! Yes, I am planning on memorizing 1 Peter. I'm starting by just reading it out loud each day....pretty soon it will be very familiar and it will be easy to memorize. @Saved by Grace - I am going to start memorizing 1 Peter also. Now, if you would, please explain how I am to do it. I hear people talking about reading it. I'm a little confused. BTW - I have two accounts so I am using my other account. Just so you're not confused. @Bethany - WOW! Are you and Carissa (Bible Bee) sisters because you look A LOT alike!!! @ River La Belle on the other hand it just worked for me and I got on page four.sorry. BTW can you explain what your name means? mabye a bad question. ATTENTION EVERYONE! River would like us to move to the post "Stayong on Topic". Please be kind and when you are continuing on in these topics please go to that post to continue the converstation! Thank you! Let us respect his request that he made to us...so move on over to the other post. @Bethany--um, the picture's fine, but it doesn't seem like I'm talking to the same person as I always was. But of course, if I ever put my picture on, I'd be disappointed if you all said that same thing, so it doesn't really matter what my opinion is. P.S.--I've read my chapters for today; what about... Rachel Crosswhite? @SBG - Okay, this is what you need to do...on the sidebar there is something called "Search Blog". Type in "Staying on Topic" and you should find it. The post was made by Mr. Walker. Did you find it? Because I can't access pg 4 either! Just copy that link to the address bar. Thanks! @EVERYBODY - can we just keep to this blog post because it is WAY easier than going to page four and trying to find it. AGHHHHHHHHH! I'm eleven and my birthday is March 23. Yes, please keep all long running threads on the "Staying on Topic" blog post otherwise the blog ends up with a lot of comments that have nothing to do with the original topic. If that happens, people eventually stop reading the comments everywhere because they aren't relevant. It will be much easier to get to the blogpost "Staying on Topic" if everyone just goes to the "Recent Comments" and clicks on the link to that blogpost wherever it is on that page. Yay!!! Memverse says I've memorized 4 verses!!! Congatulations, Matthew Sinclair & Elizabeth (KJV)! Matthew and Elizabeth are you doing the Bible Bee? Guess what! I think I will be able to do the quiz on Friday! Yay! I still have not seen the new system! So I am looking forward to it! Yes Bethany we are. I'm a Junior Timothy Track and Elisabeth is a Junior National Track. Great, Matthew! I was going to ask you about your friend today, but you beat me to it... ;) We have prayed for him every day since then. PRAYER WORKS!! God bless you Johnny. Keep serving him. Oh, that's funny... (well, not really at all) I didn't even see that there was a hacking problem, because we had company over during the second quiz. I forgive you too. Ditto on what Rachel Crosswhite said--no offense kept here either. Well, pretty much ditto on everything she said. I'm sure we all forgive you. I love these quizzes but I haven't been able to do them because I'm behind! Could we do like a first 5 weeks review? That way I could join. For those of us that are not as ambitious as SavedByGrace and Rachel I am starting a group that will commit to memorizing Psalm 117. It's the smallest chapter in the Bible but little beginnings have big endings. Please join me. Wow I didn't realize how short it is. Well it's a beginning. @Sarah: Neat, It is awesome. I will initiate the quiz and will check and post the score which will be one point for every correct word. (Reference not included) If those that would like to participate in memorizing it cannot be here at that time please notify me so I can make the time acceptable to everyone. Please notify me if any of ya'll want to memorize it. @Hannah Teeters: If your talking about the quiz I am talking about in my posts, this is not the Bible Bee quiz, this is a quiz on Psalm 117, But if not never mind. Hannah - You do not have to RSVP for the Memverse Bible Bee Live Quiz tomorrow. Thanks and hope you can make it! @Alex: Can you please make a blog post for memorizing Psalm 117 for me? It would be nice if I could do my quiz on a separate blog post. SBG, Im sure they'll use Psalm 117 one year too. It's really great! Matthew - I agree Psalm 117 is a great Psalm. There is an urban legend that it is in the middle of the Bible. It's been great to have you on the Live Quizzes for the Bible Bee. We are actually working to open the Live Quizzes system to others, but we're not ready for that yet. We've also decided that the blog is not suitable for quizzes, which is why we're building a new system (running quizzes on the blog is difficult with some new blog comment technology we've implemented and also can overload the commenting system). We appreciate your patience as we ask that you refrain from quizzes on the blog... You and others will one day be able to use a great Memverse Live Quizzes system!! We're getting there. Thanks Matthew. Hope to see you tomorrow at 4 PM EDT. I am sorry Alex. I will just have my group memorize it. Thank you for explaining it to me. @SBG and Sarah: We wont be having a quiz but we can still memorize it. My dad is doing an oral quiz tomorrow (maybe at 7) with us and my younger sister has a wedding rehersal @ 5. How long does the quiz take, and do you need to know my Bible version? Hannah - The quiz should take about half an hour. It is also fine if you can just participate for a little bit and have to leave. We've had others do that before too. As far as your Bible version, please make sure that the version you have set in your profile (Account > Profile) is the version you want to use for the Bible Bee quiz. Thanks. I will do the quiz today. 4:00 EDT right? I'll finally be here! (I hope) See you all later on today! I'll be here for the quiz! Hannah Cupcake - That is understandable. We are doing some review, though, so if you decide you'd like to do it, that's fine. Sarah - Right; verses anywhere from Week 1 - 9, mainly Primary. Matthew - No need to apologize. OK, glad you should be able to come! I'm here! I'm looking forward to a LOT of fun!!! I almost have Psalm 117 memorized. ok. Hopefully we see you next time! Zachary - Please provide details and we'll try to help you. Thanks. Wow. Did you actually see that? I could not see what I was posting! I am on the live quiz. It is not starting on it and is acting like the quiz hasn't started yet. I even tried to reopen it in a new tab and it still would not work. It may be that I do't have the latest version of Google Chrome, but I don't see anymore the link where you can download the latest version. But again, that may not be the problem. Zachary - Make sure you don't refresh the page. You really have to be patient - you may need to wait 3 or more minutes before you see a question, if you arrived late. @Matthew Sinclair - ohhhhhhhh sorry! I didn't know that you had posted that because I wasn't able to get on all day yesterday and half the day before!!!! oops...:) well, I committed to Memorizing The Entire Bible so Psalm 119...ummm....I mean Psalm 117 will be part of it! Courtney got the same score on both quizes!!! @Simeon: I have some friends in AK!!!! Were do you live? Is the next bible bee quiz this friday? @Smiles--yes, it is--on the link at the top with the words "Coming Friday, August 12, 2011, at 4 PM EDT" beside it. Just a quick reminder to everyone that today's Bible Bee Live Quiz starts at 4 PM EDT. Hope to see you there! Alex, thanks for the reminder and for doing the quizzes! I am wide awake and more excited about memverse, Scripture memory, Scripture, and our true Biblical God than ever before! Can't wait for the quiz. Good job all! Keep studying - contest day is just 2 weeks away! Let's not forget that the Word itself is more precious than thousands of pieces of silver and gold (Psalm 119:72), and for that reason, we press on! i had a great time @ the quiz 2day! bbj11: is that a picture of reepicheep on the dawn treader? Hope to see many of you and your friends at the Finale Bible Bee Live Quizzes (Friday, August 19, and Friday, August 26, both at 4 p.m. EDT)! Lord-willing, so will I! That is, unless I die by then, Christ comes back, or I just simply don't have the time. ;) Can't wait! These quizzes help so much! We can have a slight taste of what it will be like at the locals this way. Thanks, Andy and Alex, for working to put this together! BibleBeeJunior11 ... do you still play your game? did you make your cards on your computer? BTW Nicolas...congrats on memorizing your 300th verse!!!!!! Alex...I clicked on the link to the quiz page for this week's quiz, and it said that there are 3 questions! Is this true? I'm going to try to do the test tonight! I am at my grandparents so it will be with a computer I'm not used to working with! See you all tonight! 4:03 PM EDT quiz status update - we should be up and running again soon. Things need restarted. Thanks. Update: Jamie - Please try refreshing in Google Chrome. Thanks. Sorry I missed the quiz. Great job, everyone! Phil, Jamie, and Hannah - Don't worry about missing the quiz, though we certainly hope that you all and others can participate next time. Jamie - Sorry that you didn't realize there was another quiz. We almost always have a second quiz, so perhaps if you're able next time you can wait a few minutes after the first one ends to see if we decide to hold another one. Only one more quiz to go and then we have the Local Bible Bees on Saturday, August 27th, across the United States! I have 15 verse left!!!!!!! Alex...will the last quiz be longer than the previous ones? or will we have to different quizes...one with National and one with Timothy verses? That would be nice. i have from Luke to the last one left. : ( I don't think I'll make it. I now have ONLY 12 verses left!!!!!! I am SO excited!!!! Sorry, Rachel (not Crosswhite), that you're not as far as you'd like to be. But keep trying, and God will allow you to do as much as He'll let you. Try your best, and you'll do well! Keep up the good work everyone! I have a few comments about the last quiz. Ok, so it worked really well for me considering I was tethering off a phone, my laptop battery died in the middle of the 2nd quiz, and then I used my iPod...there were really no problems on the tech side, only on my side. One thing that happened to everyone is that the first time, everything bogged down after the 2nd Q of the first quiz. Alex quickly fixed that. Thank you! :) I thought I had something else to say, but I must've forgotten. Sarah - Yes, that would be great! A lot of people who develop Ruby on Rails use Mac, so that part should work well. :) Since I don't have a Mac, I use Linux (works better for development than Windows). Regarding the next Live Quiz for the Bible Bee on August 26 - If all goes as planned, the first 12 questions will be Primary Timothy, the next 5 will be Junior Timothy, and the last 3 will be Senior Timothy. Hopefully this will work better. I would like to post the scores in the comments at each of those marks so you can see scores from the first part with Primary Timothy verses, from the second part with Junior Timothy, and from the third part with Senior Timothy. I'm not sure if I'll be able to re-run the quiz on Friday, as we may be helping our Local Bee get setup... Thanks all and hope to see you at the quiz! I hope I will be able to participate in this last quiz! However, I have to help set up for the Bee tomorrow night. (My parents are hosting) So I might not be able to do it. I hope I will though! Hope you can too Jamie!! You're TT, right? I really hope I can make the quiz later today! Since my family is hosting, we'll be at the church all day (leaving in a little bit), and last week I was at the church, and the internet wasn't that great. As long as I remember to bring my charger (forgot last week) I should be good. If worst comes to worst, I'll use my iPod again. :P Alex, the iPod worked! It just got overloaded a couple times and quit the browser, but I was able to get back in fairly quickly. I'll REALLY try to make it today... But, as I'm in the car and the internet router is kind of shaky... We'll see... I'll try though! So, how do I sign up? Like do I fill a form out or something? And where do I find the links for the past quizzes so I can make sure my browser works? I have Mozilla Firefox. @ Brittany, You don't have to sign up or anything. Just go to the link above. I don't know if you can test your browser or not. I think Firefox should work fine though. @ Brittany, You can go to the quiz and type something in the chat box just to make sure your browser works. I keep forgeting to do the quizzes. But, this time i'll do it. I can't wait 4 2morrow (BIBLE BEE)! Josiah - OK, I hope it works for you! If not, we look forward to seeing you tomorrow! Alex, ChampionBuilders(KJV) is having problems with the chat. If anyone has trouble with the quiz and can't communicate with us via the chat, please let us know either through the Feedback or blog comments. It would be helpful to know which browser and version you are using. Thanks. We are using IE8 but we've never had a problem before. Since the quiz was constructed with the first 12 questions being Primary Timothy, the next 5 Junior Timothy, and the last 3 Senior Timothy, I copied the scores at each of those segments. By the end of the quiz, we had 40 participants - praise God! I hope you all do well at your Local Bees and see God's grace throughout this summer's study of His Word. Having His Word hid in our hearts is the greatest treasure of all - it is a means of His grace as He guides, strengthens, corrects, disciplines, encourages and nourishes us. To Him be the glory! One Bible Bee passage I've been thinking about recently is from 1 Peter 4:11 (not a memory verse, but part of the Sword Study), which says that "If anyone speaks, he should do it as one speaking the very words of God." Let's ask God to help us do that tomorrow. This was so much fun! Too bad I can't type very well. I knew the answer to most of the questions, but I kept misspelling words or forgetting to press submit in time. But, hey, it was soooooooooo much fun! And, Alex, you were really encouraging and funny. Thanks so much to everyone who made this possible. You guys rock! Thanks for the quiz, Alex! Also, where's the "Rest Schedule" button? Or do you have to be over-due so many to let it show up? I'm a little confused about that right now. Heyy everyone! just wanted to say bible (for hamburg, ny) ended about 2 hours ago. And my family and i get a week long break b4 school starts (i'm homeschooled). I did horrible but, who cares! its still hiding God's word in my heart! I got a score of about 410. What did u guys get?????? I'm anxious to hear how you all did! Alex - I typed some of the verses in today, and so now I'm down to have 235 over-due. And again, I didn't see the button. You don't need to worry about it though, because I'll just try to get them all typed in before Wednesday :) Thanks for your help. Will we be having quizzes for this year's Bible Bee or are there too few verses to do it? If there's a feature for multiple-choice, then maybe we can use some of the questions my volunteers and I make up for the practice tests! Cool! I am so excited! This is going to be so much fun! I would love to volunteer to lead quizzes (depending on the time) I am a BB alumni who wishes to still be doing the BB :) !!!! 1,000 Active Users in Memory Verses!! Memory Verses - the Entire Bible?